Latest TBU based Swedish Technology. Process design that runs on high GPL Hydrogen Peroxide. Optimisation of Operation & Production cost. LABSA (Linear Alkyl Benzene Sulphonic Acid) is produced by reaction of SO3 molecule with Linear Alkyl Benzene under precisely controlled condition of temperature, pressure and concentration of reactants. 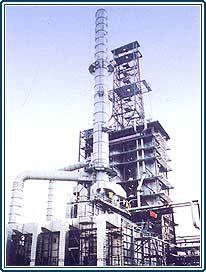 We specialize in providing end-to-end solution for LABSA production facility. 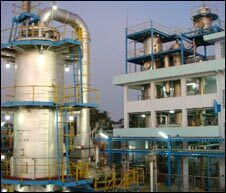 Spent Acid is used by manufacturers of Alum, Ferrous Sulphate, Super Phosphates etc.